Former Bauhaus vocalist Peter Murphy has announced via Facebook that he will be reuniting with ailing ex-Japan bassist Mick Karn to record a second Dali's Car album, the follow up to their 1984 debut "The Waking Hour". Earlier in this year in June Mick Karn official announced that the singer was diagnosed with advanced stages of cancer. Visit the www.mickkarn.net/index to donate money to the Mick Karn appeal. 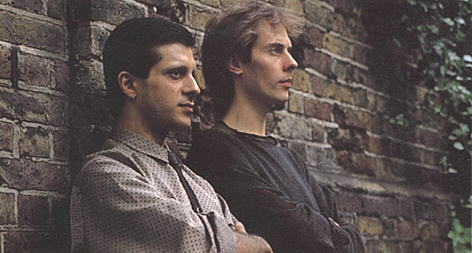 Sadly Mick Karn died on 4th January 2011.